Today we’d like to introduce you to Emily Belden. Just like my lead female protagonist, Allie Simon, when I was in my younger twenties, I dated an up and coming bad boy chef with a bit of a drug problem. So many people wanted to work with him on projects and open restaurants with him because of alluring and talented he was. One day, he brought me to see a vacant restaurant space in and I wasn’t sure why. I was even more confused when I got there, there was already a general manager who would head up the restaurant. Did I miss something? Was this actually happening? With whose money? Mine? He couldn’t possibly be expecting me to front the money for this, right? Nothing ever transpired from that visit, although that “general manager” and I became friends. And while I didn’t continue to date the chef long term, she and I remained close—and she is one of my best friends today. One day while she and I were enjoying the summer sun from the rooftop of my building, I casually asked her… “What if I gave up all my life savings so he could own and open that restaurant?” She answered firmly, “I’ll tell you exactly what would have happened. You would have paid. He would have relapsed. And you and I would be sleeping at that restaurant working 80 hours a week trying to get you your money back.” That was the moment Hot Mess was born. It was a simple “What If” question with so much creative room to answer in a highly compelling, devouarble way. I sat down not long after, and the first sentence flew off my fingertips. Then the first chapter. Then the next, and the next, and the next until three months later, the entire manuscript was completed. 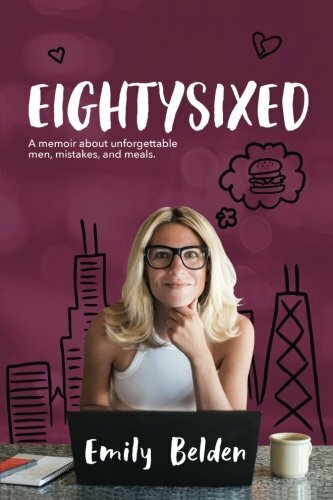 My now-agent, Danielle Egan Miller, had discovered me from my first book, Eightysixed. 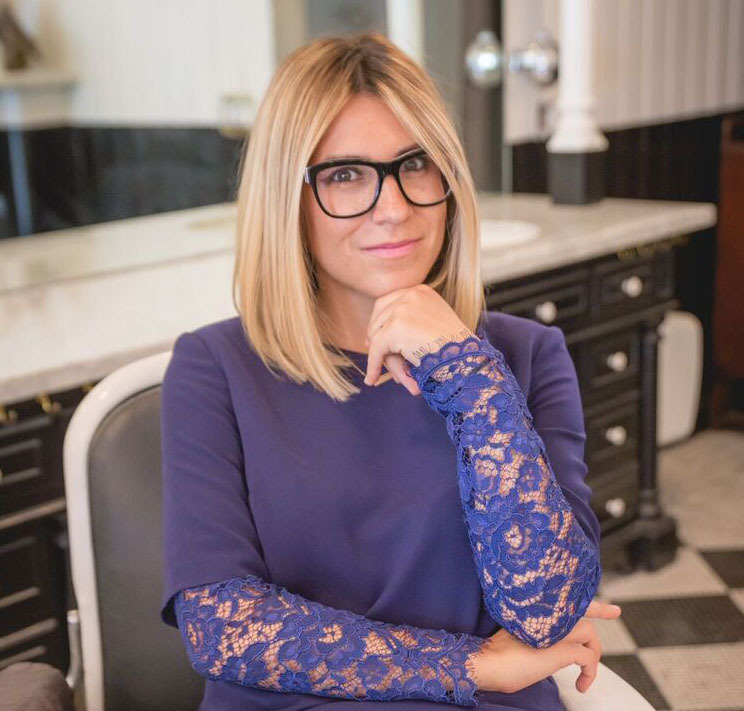 She was reading an article about me in Michigan Avenue Magazine when she was getting her hair done and said that when I had my next fiction project ready, I should send it to her first. So I did. No query letter, no nothing. Just a quick email with a Word doc attached to it. Two weeks later, she called me to ask me to lunch and brought a representation contract with her. From there, we worked on some slight revisions to make the book the best match it could be for the editors she had in mind. 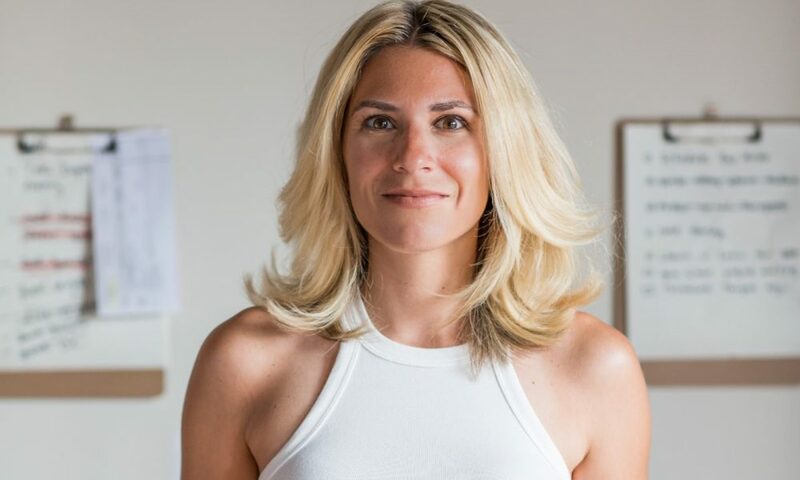 Soon, she began pitching the Emily Belden / Hot Mess package and ultimately it found its way to a New York Editor at HarperCollins who was born and raised in Arlington Heights and was also a foodie. She brought the book to an acquisitions meeting and it became the first buy under their imprint, Graydon House—a branch of the publisher that focuses on edgy, women’s fiction. It took almost three years to acquire the rest of the titles that comprise the Graydon House fleet. There were three title changes to the book, which originally was called Randolph Street, and multiple rounds of cover art. But here we are, we have made it. It truly took a village, but I could not be more thrilled with where Hot Mess has landed, which includes on shelves at every Barnes & Noble in the country. There’s a lot of rejection that comes with putting your work out there. Before I got my big break, it would take weeks to hear back from agents, I would get close but get rejected, etc. etc. It makes you doubt if you’re actually a good writer or not! Once the book was being pitched to NYC editors, many of them had their own thoughts about who should wind up with who, etc. It was hard to imagine the day I might need to change my ending to make an editor happy. 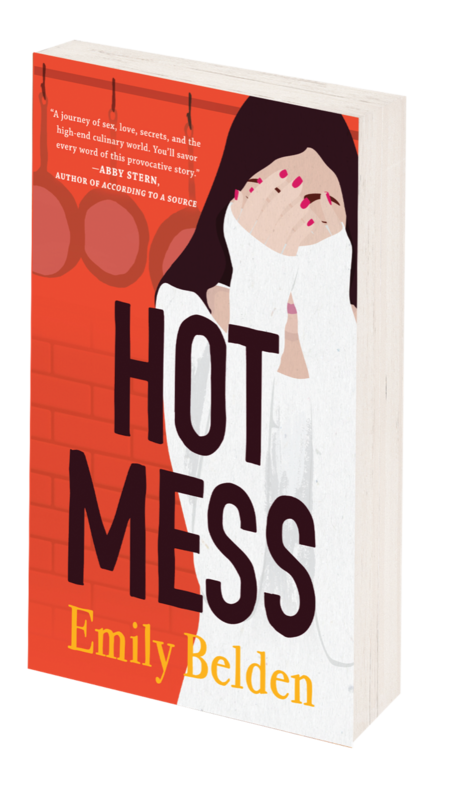 Good thing Hot Mess wound up in the hands of someone who loved it as-is, just like I did! 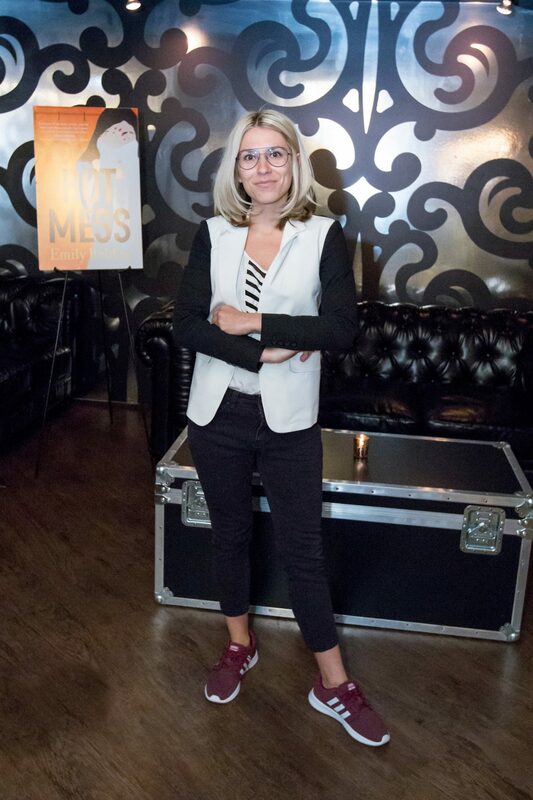 Please tell us about Author of Hot Mess. I’m the author Hot Mess and Eightysixed. My first book came out when I was 27, and I signed a two-book deal with the world’s largest publisher by the age of 30. I am most proud of the fact that I put myself out there in a very vulnerable, authentic way. When my launch party was picked up to be sponsored by the Chicago Tribune, I had my mom come to it and I think I blew her away! Writing is a very solitary thing–not much to see. So when there are events like this where people come together to celebrate the work, I think she “got it”. One thing to note about me: I’m a voice-driven author, which means I write like I’m taking you to coffee and telling you a really juicy story. So keep that in mind when you pick up a copy and find yourself binge-reading. I was always a writer. Whether I was writing a persuasive essay to The Tooth Fairy or Santa Claus or my dad, I put all my creativity in it. At my elementary school, there was something called the Publishing Center, where you could print short stories and have them laminated and spiral-bound. I would bring one every day! I was very tenacious and always working on my creative writing. Not much has changed.